Restaurants make up the largest part of the food service industry. Whether your business is full-service, fast-service, a family-run operation or a franchise, 212 Tax and Accounting Services will be able to meet the needs of your dining establishment. Owning and operating a restaurant in Manhattan is extremely competitive and having an experienced CPA to help optimize your profits and minimize your losses is integral to your success. We can assist you with services such as tax return preparation, bookkeeping, inventory and payroll. Whether or not you have your own bookkeeper, 212 Tax can serve as an outsourced controller or CFO. For medium to smaller sized establishments, it is generally more efficient to outsource certain accounting and/or bookkeeping functions. Our accountants have experience with the specific finance and tax questions related to the food industry and are always looking ahead to help you make the most effective financial choices for your NYC restaurant or diner. We’re able to increase operating efficiency and improve cost containment strategies for our clients through developing financial controls, management reporting, and operational policy reviews. Many of our customers have instituted more accurate financial reporting and begun successfully monitoring their overhead with the help of 212 Tax. 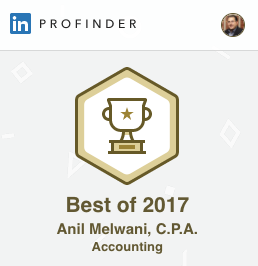 Contact us today to schedule your free consultation with Anil Melwani, CPA.